Not only do large breed dogs have specific dietary needs, but senior dogs have additional nutritional requirements, too. So how do you go about picking the best large breed senior dog food? 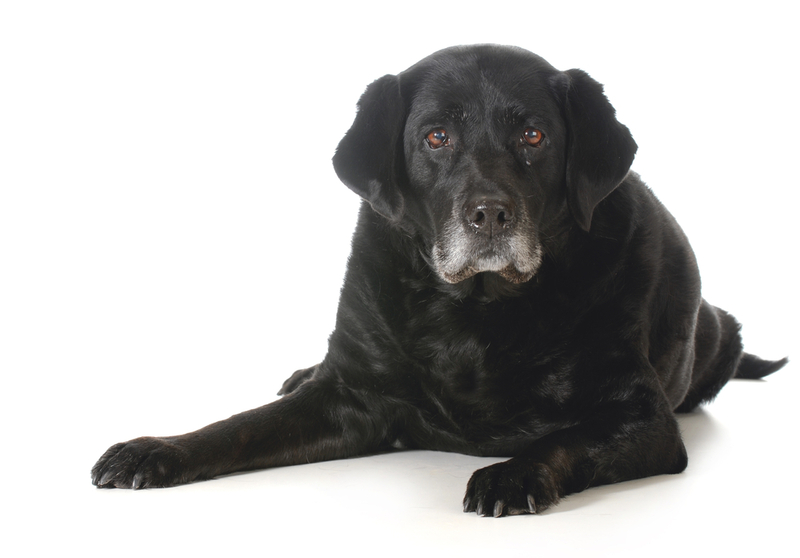 We’ll try and help with our list of the top 10 senior dog foods for large breed dogs. 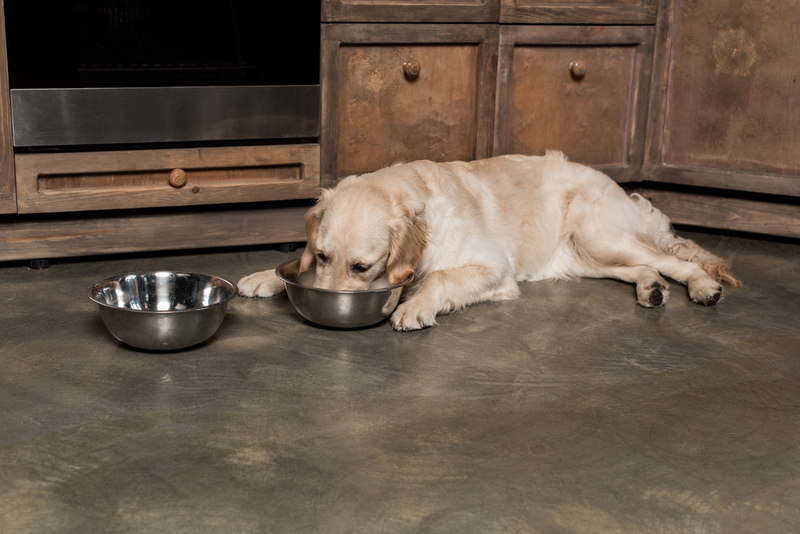 Use this guide to check out the features and benefits of each dry dog food on our list and decide which one is the most appropriate for your older dog and your budget. 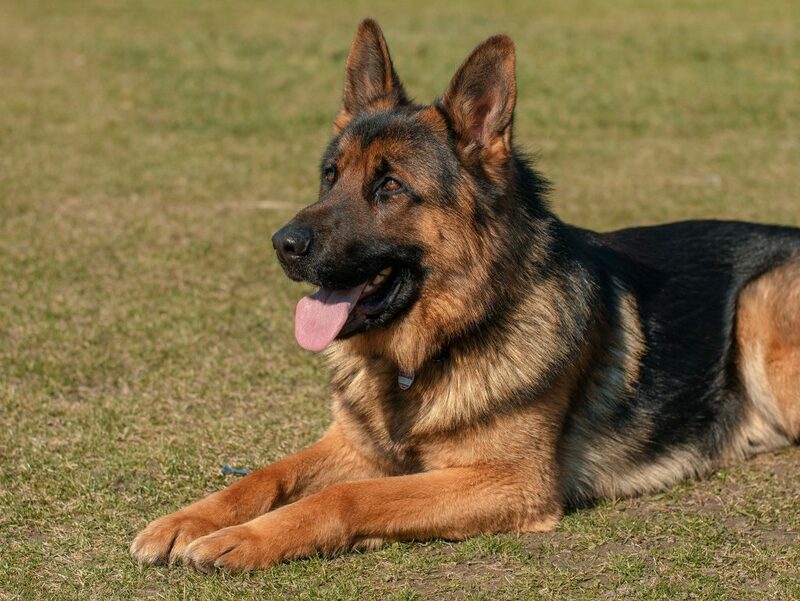 The old adage that one dog year equals seven human years isn’t quite accurate, especially when it comes to large dog breeds because they generally have shorter lifespans than smaller breeds. Large dog breeds are generally considered senior citizens around 5-7 years of age, with giant dog breeds like Great Danes and Newfoundlands falling at the lower end of that spectrum. If your dog has not yet met these standards, a more appropriate large breed dog food would suffice. We’ve performed a thorough review of dry dog foods for adult large breeds here. Senior and geriatric dogs should visit the vet twice a year so that any hidden illnesses or health problems can be caught and treated early on. For many health conditions, early detection and treatment can add months or even years to your dog’s life compared to a late diagnosis. Your vet can also make recommendations about how your dog’s diet should change as they age. How does this relate to the food you buy for your dog? You want to pay careful attention to the levels of fat in the food you buy for your dog. Too much fat can lead to obesity. Too many carbohydrates can leave your dog feeling hungry and begging for food, and too many treats can also lead to obesity. Look for a food that’s high in protein to give your dog strong muscles and help prevent obesity and its associated health risks. Additionally, senior dogs tend to be less active, so you may need to reduce the amount of food you give to account for the fact that your dog is burning fewer calories than they previously did. Keep in mind that feeding guidelines are just that, and you may need to feed less than the dog food company recommends to keep your large breed dog at a healthy weight as they age. To prevent dog bloat, try to find a kibble that’s a larger size. That’s easier said than done, so you may want to consider giving your dog 2-3 meals per day in a slow feeder bowl rather than one large meal in a regular bowl to help slow down your large dog’s food intake. One of the primary causes of bloat is dogs swallowing large amounts of air when they gulp down their food in a hurry, so anything you can do to slow down their eating should help reduce the odds of your large breed developing a potentially deadly case of bloat. Just like in humans, glucosamine and chondroitin can help ease joint pain, so look for senior dog foods that include these nutrients to help keep them running around for as long as possible. Obesity and orthopedic problems tend to become worse as large dogs age, so it becomes even more important to look for low-fat foods with glucosamine and chondroitin the older your dog gets. 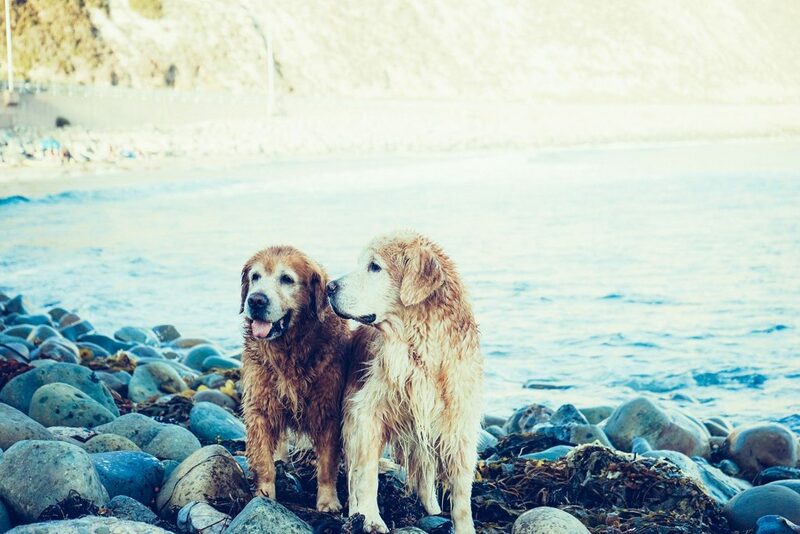 Other beneficial ingredients and nutrients you should look for to help improve your senior dog’s quality of life are omega-3 for healthy skin and coat, probiotics for better digestion, and DHA for improved cognitive function. What else should you look for when choosing a food for your senior large breed dog? Try to avoid foods with chicken (or another meat) “meal” listed as the first ingredient, and definitely avoid foods with “byproduct meal” as the first ingredient (preferably, there shouldn’t be any byproduct in the food at all). The byproduct is the parts of the animal that humans don’t like, such as beaks and feet – not exactly the most nutritious part of the animal. Many countries have lower quality standards, which may result in more problems with contamination. Canada, Australia, New Zealand, and Western Europe have high-quality standards, so foods from these locations can be trusted almost as much as foods made in the United States. Avoid foods made in China, as many dog food recalls have been traced back to contamination from dog food manufacturers in that country. Chicken meal is acceptable, but “animal meal” is scary because you don’t know what animals might be included. If the source of the meal isn’t listed, they could be including things like euthanized horses, dogs, or cats. It shouldn’t happen, but it could, so don’t buy any food with ambiguous meat meals. Many dogs are allergic to these unnecessary ingredients. Also, your dog doesn’t care what their food looks like and should enjoy the taste of their food without the addition of artificial flavors. Blue Buffalo is at the top of the game when it comes to premium pet foods. Their Grain-Free Natural Senior Dry Dog Food is no exception. The first ingredient is deboned chicken, which is a much healthier choice than chicken meal, which can include bones. Being grain-free, this food is a great choice for dogs who suffer from food allergies and pet parents who believe that dogs do better without gluten or grain in their diet. This dog food maintains a good balance between protein and carbohydrates to keep your older dog full and provide plenty of energy. Unlike some other foods, this senior dry dog food also includes taurine, which is crucial for maintaining good heart health. Blue Buffalo also adds LifeSource Bits to all their recipes. These soft bits are cooked at a lower temperature than traditional kibble and cold pressed. This helps the bits retain more nutrients like vitamins, minerals, and antioxidants, which are easily destroyed by heat. Blue Buffalo also contains no chicken (or poultry) by-product meals, corn, wheat, soy, artificial colors, flavors, or preservatives. Deboned Chicken, Tapioca Starch, Potatoes, Chicken Meal, Peas, Tomato Pomace (source of Lycopene), Flaxseed (source of Omega 3 and 6 Fatty Acids), Natural Flavor, Potato Starch, Fish Oil (source of DHA-Docosahexaenoic Acid), Chicken Fat (preserved with Mixed Tocopherols), Pea Fiber, Dried Egg, Dicalcium Phosphate, Alfalfa Meal, Canola Oil (source of Omega 6 Fatty Acids), Calcium Carbonate, Potassium Chloride,DL-Methionine, Dried Chicory Root, Choline Chloride, Caramel, Vitamin E Supplement, Taurine, Mixed Tocopherols (a natural preservative), Sweet Potatoes, Carrots, L-Ascorbyl-2-Polyphosphate (source of Vitamin C), Garlic, Salt, Parsley, Kelp, Blueberries, Cranberries, Barley Grass, Yucca Schidigera Extract, Glucosamine Hydrochloride, Turmeric, Ferrous Sulfate, Iron Amino Acid Chelate, Zinc Amino Acid Chelate, Zinc Sulfate, Oil of Rosemary, L-Carnitine, L-Lysine, Copper Sulfate, Copper Amino Acid Chelate, Nicotinic Acid (Vitamin B3), Calcium Pantothenate (Vitamin B5), Biotin (Vitamin B7), Manganese Sulfate, Vitamin A Supplement, Manganese Amino Acid Chelate, Sodium Selenite, Thiamine Mononitrate (Vitamin B1), Riboflavin (Vitamin B2), Vitamin D3 Supplement, Vitamin B12 Supplement, Pyridoxine Hydrochloride (Vitamin B6), Dried Yeast, Dried Enterococcus faecium fermentation product, Dried Lactobacillus acidophilus fermentation product, Dried Aspergillus niger fermentation extract, Dried Trichoderma longibrachiatum fermentation extract, Dried Bacillus subtilis fermentation extract, Folic Acid (Vitamin B9), Calcium Iodate. Most reviews raved about their dogs loving the flavor, digestive issues improving, and skin itching and other problems disappearing. The few negative reviews are mostly related to a few recalls, with the most recent being nearly a year ago. Based on user reviews and the quality of the ingredients, Blue Buffalo Freedom Grain Free Natural Senior Dry Dog Food earns our Top Pick rating for the best senior dog food for large breeds. It includes great ingredients along with probiotics, omega-3, and glucosamine and chondroitin to help your older dog feel their best. Big dogs are expensive to feed, and if a premium dog food isn’t in your budget, Purina Pro Plan’s SAVOR Dry Dog Food is a more budget-friendly option that is healthier than most of the cheaper foods out there for a perfect mix of affordability and quality for your senior large breed dog. Chicken is the first ingredient rather than a meal or byproduct, which is excellent for a budget option. This food also contains glucosamine to give it a bit of a boost over cheaper foods. Guaranteed live probiotics along with prebiotic fiber are excellent for digestive health. This shredded blend includes tender meaty pieces that dogs love alongside the traditional kibble. Most reviewers said their senior dog was healthy and happy on this food, although there were some reports of bad batches. Purina Pro Plan SAVOR Senior 7+ Shredded Blend Adult Dry Dog Food contains more fillers than premium foods, but it’s still a solid choice if you’re looking for a more affordable option for your large breed senior dog. If you’re looking for budget-friendly food for older dogs that isn’t grain-free, this dry dog food from Nutro Max is a good option. While this recipe isn’t entirely grain-free, it is free from corn, wheat, or soy protein. Corn, in particular, is a filler ingredient with little nutritional value, so a food like this one that avoids it is a good option. Nutro is also committed to using non-GMO ingredients. They also own and operate their own facilities in the United States. It’s important to note that while the packaging says that it’s “made with no chicken by-product meal,” the first ingredient is chicken meal, so this isn’t an appropriate food for dogs that are allergic to chicken. Most reviews are pleased with how much their dog loves the food or how it’s improved their digestion or skin problems. However, there are some reviews stating how their pet got very sick after starting this food, with some reviews saying the quality used to be good, but they got a bad batch that made their dog ill.
Nutro Max Natural Dry Adult Dog Food isn’t a premium food, but for a budget-friendly option, this is a good choice for your senior dog. While it may upset their stomach, odds are better that your dog will love the flavor and thrive on it. Science Diet is scientifically formulated and recommended by vets more than any other dog food. It’s perfect for dogs who have slowed down as they’ve aged and don’t need as many calories. It’s also made in the United States. The Adult Light food has a clinically-proven antioxidant blend with vitamins to support a healthy immune system. It also has vitamins, minerals, and amino acids. Most dog owners say their dogs loved the taste of this food. Several reviews mention their dog having smaller, firmer stools, and some reviews mention that their dog’s skin or energy levels improved. There are some mentions of bad batches, and some dogs became sick after switching to the Hill’s Science Diet Adult Light Dog Food. While some older dogs seem to suffer stomach problems, Science Diet is a good option for most dogs, and it’s veterinarian recommended. If you’re looking for a premium dog food, Nulo Senior Dog Grain-Free is a great option. It contains glucosamine and chondroitin along with probiotics so your dog’s joints and intestinal tract can both be well-supported. It’s 80% protein, and the first three ingredients are all meat-based. Be sure to closely follow the feeding guidelines, because your dog may need less of this high-protein diet than one that’s full of carbohydrate fillers. This recipe also manages to avoid tapioca and white potatoes, which are common fillers with little nutritional value. Aside from the meat ingredients, there are plenty of fruits and vegetables to round out your pup’s nutritional needs. Many reviews mention how their senior dogs had more energy; shinier, healthier coats; reduced stomach problems; and reduced joint pain after being switched to this food. There are very few negative reviews, and they mostly revolve around the pungent fish smell and picky dogs who wouldn’t eat it. Nulo Senior Grain-Free is quite pricy, but it’s one of the best foods for older dogs you can buy if you can afford it. Most dogs seem to have an improved quality of life after being switched, especially dogs with food allergies or joint pain. If you’re looking for something more affordable, Purina ONE SmartBlend Vibrant Maturity Adult 7+ Formula Dry Dog Food is a decent low-cost food. The first ingredient is chicken rather than chicken meal, but this food does contain a lot of fillers, including chicken by-product meal as the fourth ingredient listed on the label. Purina One SmartBlend Vibrant Maturity contains tender morsels for a taste your dog will love and antioxidants for mental sharpness and healthy energy. Most dog owners report that their dogs love the taste and seem to be doing fine on this food. There are a lot of reports of dogs having allergic reactions and stomach problems. There are also reports of bags of food containing mold or insects. You could do a lot worse than this product. If you need a more affordable dog food for your adult large breed dog, this food may be the way to go. If your adult dog has diarrhea, pumpkin will often clear it up due to the fiber content. Since this food includes pumpkin as one of the major ingredients, it’s perfect for dogs with stomach problems. It’s also grain free and contains glucosamine. Beef is a common food allergen for dogs, so this beef-free food is a great option for those dogs. Phosphorous and calcium help your dog build strong bones and teeth, while antioxidants support your dog’s overall health. With the addition of pumpkin, this food is great for most dogs with stomach problems, and many owners reported that their dog’s stomach problems improved after switching to this food. Most dogs enjoy the taste. Many negative reviews mention some quality control problems, with a new bag of food making their dog sick after being on this brand for years. Nature’s Recipe Grain-Free Dry Dog Food Chicken, Sweet Potato and & Pumpkin recipe is affordable, and most older dogs do well on it. It’s a great middle of the road adult dog food that sensitivities often thrive on. Nutro is one of the first brands to make their dog food non-GMO, which makes it appealing to a lot of people. It not only contains glucosamine and chondroitin to help your dog’s joints, but it also contains omega-3 for healthy skin. This is also one of the only senior dog foods specifically designed for large breed dogs, with larger kibble to help prevent gulping. Most large breed senior dogs do well on this food and enjoy the flavor. However, some dog owners complained that all changed when Nutro modified the formula of this food last year and it now makes their dog sick, or their dog refuses to eat it. Nutro Wholesome Essentials Senior Large Breed is non-GMO and contains a lot of good ingredients. While there is a chance your dog may have a negative reaction, most senior dogs do well on this food. Chicken is a common allergen for dogs, so this limited ingredient food is a good choice for older dogs that are allergic to chicken. In addition to glucosamine and chondroitin, it also has DHA, an amino acid that’s great for brain and eye health. The addition of pumpkin makes this food highly digestible, while taurine improves heart health. Most dog owners report that their older dog’s allergies cleared up pretty quickly after starting this food, with reduced itching, improved skin quality, and better digestion. Some dogs don’t like the taste. Blue Buffalo Basics Limited Ingredient Diet, Natural Senior Dry Dog Food is a great limited ingredient diet food that many dogs who suffer from food allergies will do well on (as long as they’re willing to eat it). Taste of the Wild has several different formulas that you can rotate to keep your dog interested in their food. The salmon formula is great for older dogs who are allergic to more common proteins like chicken or beef. This food also includes probiotics, which are added after the cooking process, to help improve digestion. The salmon is a mixture of wild-caught and farm-raised salmon, and fruits and vegetables probe natural antioxidants. Most older dogs love the taste of this food and seem to thrive on it, but there seem to be some quality control issues. Taste of The Wild Grain-Free Premium Dry Dog Food Pacific Stream Adult – Salmon is a high-quality food that most adult dogs thrive on. As long as you get a good bag, this is a great choice for most senior dogs, especially those who are sensitive to more common proteins. What Should I Do if my Dog Refuses to Eat? Add moisture. Many dogs develop dental problems as they age, and loose, cracked, or sore teeth could make eating kibble painful for your dog. Adding water to soften your dog’s kibble may work, or you may consider switching your dog to a canned, fresh, home-cooked, or freeze-dried raw diet that’s easier for your dog to eat without pain. Pick a food that’s higher in fat – these foods tend to taste better to picky dogs. Try a new flavor. You would likely get bored eating the same food every day for years, so try switching your dog to a food with a different primary source of protein to see if they’ll eat more. What’s your favorite senior dry dog food for your large breed? Share in the comments and let us know if we missed something. Have you considered including a more natural way of feeding by cooking your dog’s meals at home? If so, check out our guide to the 10 Best Homemade Dog Food Recipes for Large Breeds.